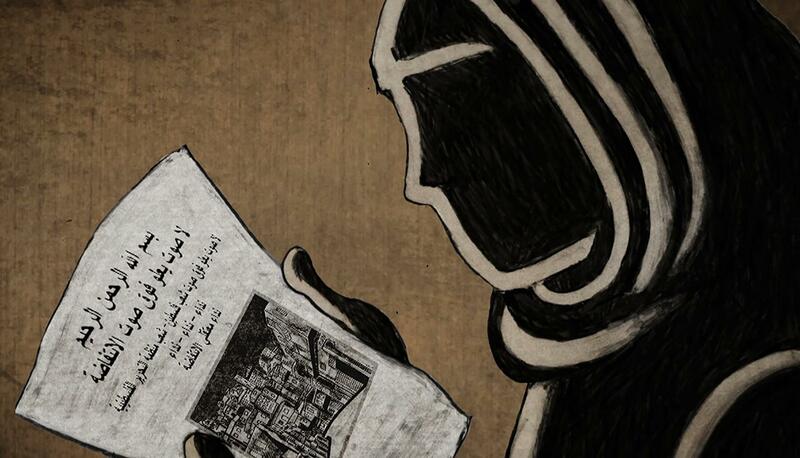 The HRW Film Festival currently screens in over 20 cities around the world throughout the year. Alt A has selected some of the must see films for 2018. Naila Ayesh was an activist and student organiser in the years leading up to the First Intifada. Born in Jerusalem, she moved to Gaza in 1986 after marrying her husband, Jamal Zakout, and became increasingly active in political organizing and the women’s movement. Naila was arrested and tortured by the Israeli army before the uprising, leading to a miscarriage while in prison. When the Intifada broke out, she and her husband became an integral part of the uprising’s mobilizing efforts. After Jamal was deported for his political activities, she was arrested again and forced to bring her infant son, Majd, into Israeli prison. Following her release, Naila continued to be involved in the underground leadership of the Intifada, organizing sit-ins, marches, and boycotts, and distributing leaflets to help coordinate the movement across Palestinian society. She later became the General Director of the Women’s Affairs Centre in Gaza. Julia Bacha (Director) is a Peabody award-winning filmmaker, media strategist and the Creative Director at Just Vision. Credits include Control Room (2004, Writer/ Editor), Encounter Point (2006, Writer/Co-Director), Budrus (2009, Director/ Producer), My Neighbourhood (2012, Director/Producer) and The Wanted 18 (2014, Impact Producer). Her work has been screened at the Sundance, Berlin and Tribeca Film Festivals, broadcast on the BBC, HBO and Al Jazeera, and shared with Palestinian refugee camps and the US Congress. Anjali​ ​Nayar​ (writer/co-director/producer​, ​ TIMBY​ ​founder) has been working with the environmental networks featured in this project for over six years. Anjali’s feature directorial debut, Gun Runners (2016), about Kenyan warriors turned marathoners, premiered at Hot Docs and is now available on Netflix. Anjali is also directing Just A Band, a fractionally-fictional documentary about an Afro-electric pop group that wants to go to space, as well as a number of short creative and virtual reality films. Beyond film, Anjali founded TIMBY (This Is My Backyard), a suite of digital tools that helps activists report, verify and tell stories safely – as featured being used in the film by Silas’ team. Anjali first met Liberian activist Silas Siakor back in 2011, while writing a piece on forestry in Liberia for Nature Magazine. Silas Siakor has been a tireless crusader, fighting to crush corruption and environmental destruction in the country he loves. Liberian environmental and human rights activist, founder of the Sustainable Development Institute, he was awarded the Goldman Environmental Prize in 2006, realising evidence of former Liberian president Charles Taylor using profits from illegal logging to facilitate a civil war. Going forward, Silas took part in the last Liberian elections, in October 2017. Kayla​ ​Reed​ is one of many who found a renewed sense of purpose in seeking justice for Mike Brown. On August 10th she drives Tef Poe out to the protests and joins in. Shortly afterwards, she leaves her job as a pharmacy technician. Day after day she takes to the street and protest soon becomes a way of life. As a leading organizer of Ferguson October and other national days of action calling attention to systemic injustice, Kayla often led non-violent direct actions including Occupy SLU and teach-ins around issues of police brutality. She eventually became a field organizer with local black grassroots organization, the Organization for Black Struggle, a 35 year-old St. Louis civil rights organization. A major turning point comes when she leads an occupation of the steps at St. Louis city hall and police pepper spray protesters. There she worked on campaigns to redefine public safety from an oppressive policing force to a holistic investment model. She also worked on legislative campaigns resulting in the passing of civilian oversight and the city’s policy on racial equity. Kayla also founded St. Louis Action Council, a millennial Black-led collective working to build political power in the city of St. Louis through civic engagement and strategic political action. The collective has organized public debates with more than 1500 local community members in attendance and worked to elect St. Louis’ first black Circuit Attorney. Their most recent campaign was seeking to elect St. Louis’ first Black woman mayor. Stefanie Brockhaus is an independent filmmaker from Munich, Germany. Her first short film, Jam, won the Lux Award for Best Experimental Film at the ICA in 2003. It was screened at the Museum of Modern Art in New York (MOMA) and at film festivals in Sheffield and Clermont-Ferrand, among others. Brockhaus’ feature documentary debut On the Other Side of Life, which she co-directed with Andy Wolff, had its US premiere at SXSW film festival in Austin, Texas (2010) and European Premiere at DOK Leipzig. It won jury awards at international film festivals like Milan, Ronda, Camden and DOKfest Munich. The Poetess is their second documentary feature collaboration. “I made this film to show the world, how the ongoing violation of human rights in Venezuela has reached unimaginable heights. Until recently, the chaotic situation in Venezuela had been kept silent. Today, the international community has woken up and is now aware of the extent of the crisis. Venezuela is living a very dark period, perhaps the darkest of its history” – Margarita Cadenas is a Venezuelan-French director, producer and screenwriter, currently based in Paris. Before becoming a director, Margarita produced numerous French commercials around the world and worked for the French television. Since 2006 she has realised numerous documentaries and fiction feature films, including The Family: Dementia, Masks/Mascaras, Macondo, Beyond Appearances, Cenizas Eternas. She studied Social Communication at the Catholic University “Andrés Bello” in Venezuela and Production and Direction in London at the BBC. Her taste for culture shock, diversity and nature reflects in her work, all with a strong social sense. Originally a freelance artist in Damascus, Ramia Suleiman moved to Beirut and worked as Designer and project manager at Artafif, a studio which works on long-term art and design projects. One of these projects is Mdawar – up-cycled fine objects, mdawar.com During her residence in Lebanon, Ramia’s interest in filmmaking began as an animator with a short film My Name Is L, and continued when she met The Long Season’s director Leonard Retel Helmrich and worked with him as a co-camera woman, capturing behind-closed-doors lives of Bedouin women and children in the Majdal Anjar refugee camp. On set, Helmrich taught Ramia his “single shot cinema” technique and philosophy, and she was responsible for filming all the scenes with women. Following Helmrich’s health situation, Ramia and producer Pieter van Huijstee finished shooting the film and then moved to Amsterdam to finish the film with van Huijstee and the post-production team.